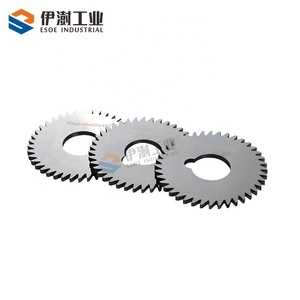 1 YRS Hunan ESOE Industry Technology Co., Ltd.
300x96T good quality in stock industrial grade TCT saw blade cutting for aluminum We specialized in manufacturing,designing and developing various kinds of TCT saw blades. 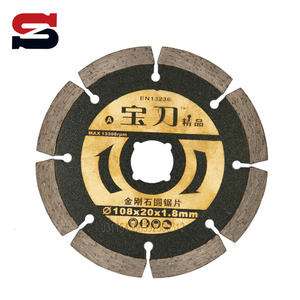 The trapezoidal sawtooth with the flat tooth is applied to such saw blade for the cutting of stainless steel and aluminum alloy. The body is treated in special heat treatment, and the alloy angle is designed for metal cutting. 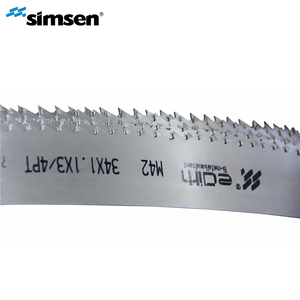 3 YRS Hangzhou Simsen Machinery Co., Ltd.
4 YRS Ezhou Jinfeng Superhard Material Co., Ltd.
Q2. What is your terms of packing9 A: Generally, we pack our goods in neutral white boxes and brown cartons. We'll show you the photos of the products and packages before you pay the balance. Q5. How about your delivery time9 A: Generally it is 5-10 days if the goods are in stock. machining productivity, and can be re-sharpened many times without affecting the original profile. You can send us tool samples for checking, or wood samples for designing the right tools. We will send technical drawing for customers' confirmation before manufacturing. 1 YRS Foshan Sanhomt Woodworking Tools Co., Ltd.
Q: How long is your delivery time9 A: Generally it is 2 days if the goods are in stock. or it is 15-20 days if the goods are not in stock, it is according to quantity. Q: What is your terms of payment 9 A: Payment&lt;=1000USD, 100% in advance. 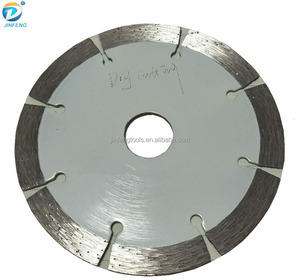 3.Diamond saw blade adopts the hardest material in the world "diamond" as raw material. 11. How long is your delivery time9 Generally it is 10 days if we have saw board in stock. If we don't have saw board in stock,the lead time is about 25 days. 2)To keep the gap left between the knife and the machine pressuring knife part to avoid the knife friction, ensuring the accurate of the cutting conditions. 3)To avoid to touch the back of the knife blade by the knife fixing device for some types of machine . *Splitting leather machine leather cutting machine /paper cutting machine/shoe machine/sewing machine etc . : 1,Are you are a manufacturer9 A:Yes,we have our only factory,and have excellent research team, and strict quality inspection procedures. 2.What about your quality9 A:We have strict quality inspection procedures,and each of our ner products have been tested before launching it in the market. 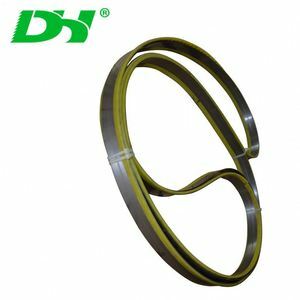 4.If you don't have the size I need,can I have a requirement9 A:Yes,if the size you need we don't have,we can manufacturer as your requirement. 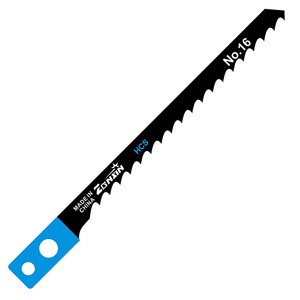 C turn over knives planer blade reversible knives for wood working 1. All raw materials are tested in terms of density,hardness and T.R. 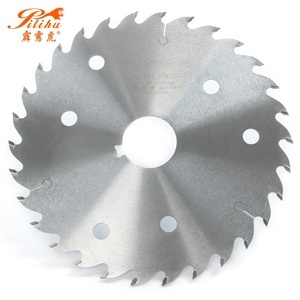 C turn over knives planer blade reversible knives for wood working Grade Lists of our T. C turn over knives planer blade reversible knives for wood working: Pictures of T.
Alibaba.com offers 22,070 stock blade products. About 1% of these are knife, 1% are saw blade, and 1% are tool parts. 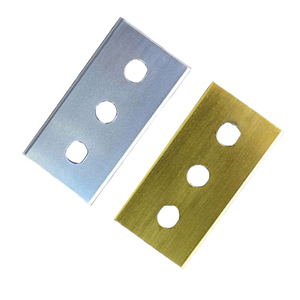 A wide variety of stock blade options are available to you, such as free samples, paid samples. 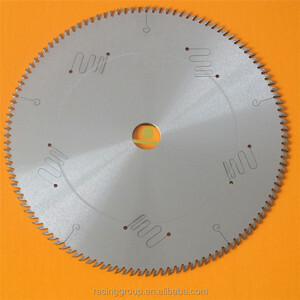 There are 22,070 stock blade suppliers, mainly located in Asia. The top supplying country is China (Mainland), which supply 100% of stock blade respectively. Stock blade products are most popular in North America, Western Europe, and Eastern Europe. You can ensure product safety by selecting from certified suppliers, including 3,907 with ISO9001, 1,109 with Other, and 630 with ISO14001 certification.